With the September 11, 2001 attacks the phenomenon of terrorism eventually became one of the focus points of security policy. It was against this backdrop that the ISPK started the research project “Terrorism Yearbook” in 2006. 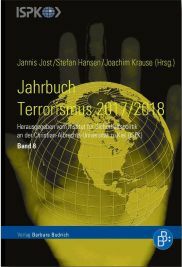 The “Terrorism Yearbook” aims at analyzing the terrorist threat in all its forms, pointing out trends and reflecting on policy measures with scientific validity and reliability, all while maintaining independence from the sentiments and hastiness of day-to-day politics. Read more about the Yearbook Terrorism. What are the reasons that have made multilateralism either effective or ineffective in the field of peacekeeping, peace preservation and peacebuilding? How can multilateralism be made more effective? How can attempts made by Europe to render UN multilateralism in the security area more efficient be assessed? 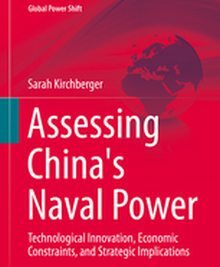 This publication series encompasses monographs and anthologies on the role of sea power in international relations, the evolution of naval forces and maritime strategy, and the importance of maritime security in global security. It is characterized by strong practical relevance. It addresses an international professional readership as well as the larger audience of those in Germany, Austria, and Switzerland who are interested in issues of maritime strategy and security. The series is strictly problem-oriented. Each publication marries academic quality to carefully articulated naval thought and is anchored in intellectual excellence. It is driven by the conviction that shared knowledge is empowerment. ISPK's Sebastian Bruns is co-editor of "Maritime Sicherheit". The volume covers current issues in Maritime Security, e.g. doctrinal development and history, littoral warfare, modern piracy and in-depth case studies of Naval strategy. 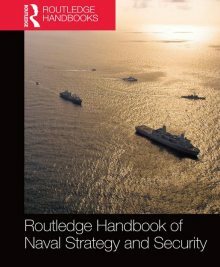 New theoretical and methodical developments in Strategic Studies with regard to naval security analysis are included and discussed as well. Bruns has contributed a chapter on U.S. naval strategy and doctrine. Monography series "German Strategic Studies"
ISPK staff regularly publish their research in book-length monographs in the series "German Strategic Studies". The series covers Maritime Security, Military Strategy, Energy Security and German Security. Researchers are both contributing authors and editors in volumes published with German and foreign scholars. Working Papers "Kiel Security Policy Analysis"
ISPK staff's shorter papers about ongoing research and finished projects are regularly published in this series (german: "Kieler Analysen zur Sicherheitspolitik"). Exceptional thesis papers by Kiel University students written in ISPK research seminars will be published in this series as well. ISPK Policy Briefs are succinct papers and analysis about current events. Shorter than working papers and research monographs, they adress executives in policy, administration, the private sector and the media. ISPK's Academic Director Prof. Dr. Joachim Krause has edited "Iran's Nuclear Programme - Strategic Implications"; Routledge has published it as both hardcover and paperback. How o assess the strategic relevance of the tIranian nuclear programme ? How far from a nuclear weapons capability is Iran? How should we assess the role of diplomacy and sanctions? How to assess the possibility of military action? What if - how to cope with a nuclear Iran? The volume Afghanistan, Pakistan and Strategic Change. Adjusting Western Regional Policy" has been published by Routledge.Editors are ISPK's Prof. Dr. Joachim Krause and Charles King Mallory IV. What has gone wrong with western strategy in Afghanistan and Pakistan? Is Pakistan a strategic ally of the west or a strategic problem? What are possible future scenarios and policy options for the region? Monography Series "Kiel Political Science Studies Series"
As Part of Kiel University's Political Science Department, ISPK research staff publish their monographs in the department's series (german: Kieler Schriften zur Politischen Wissenschaft). The volumes can be ordered via Peter Lang Publishers. Here, you may download all ISPK conference proceedings.